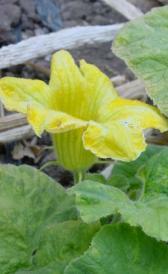 Raw pumpkin flowers: In food has a low quantity of food energy, protein and total lipid. Raw pumpkin leaves: In this food there are some nutrients that are found in low quantity, for example food energy, total lipid and carbohydrate. Raw pumpkin: This food is low in food energy, protein and total lipid but Raw pumpkin has vitamin a, beta-carotene and beta-cryptoxanthin in high quantity. Canned pumpkin pie mix: This food is low in protein, total lipid and total sugars but Canned pumpkin pie mix has vitamin a in high quantity. Raw purslane: In this food there are some nutrients that are found in low quantity, for example food energy, protein and total lipid. Raw radishes: Raw radishes is low in food energy, protein and total lipid. Raw oriental radishes: In this food there are some nutrients that are found in low quantity, for example food energy, protein and total lipid. Dried oriental radishes: High in ash, carbohydrate and total dietary fiber and low in total lipid, selenium and vitamin c.
Raw rutabagas: Raw rutabagas is low in food energy, protein and total lipid. Canned sauerkraut: In this food there are some nutrients that are found in low quantity, for example food energy, protein and total lipid. Raw agar seaweed: This food is low in food energy, protein and total lipid but Raw agar seaweed has folate, total and food folate in high quantity. 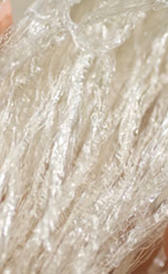 Raw irishmoss seaweed: High in ash, iron and magnesium and low in protein, total lipid and total sugars. Raw kelp seaweed: Raw kelp seaweed is high ash, magnesium and folate, total. On the other hand. is low in food energy, protein and total lipid. Raw laver seaweed: This food is low in food energy, total lipid and carbohydrate but Raw laver seaweed has folate, total, food folate and folate in high quantity. Raw sesbania flower: This food has a low quantiti of food energy, protein and total lipid but has a high quantity of vitamin c, folate, total and food folate. Raw green soybeans: This food is low in total sugars, sodium and selenium but Raw green soybeans has potassium, thiamin and folate, total in high quantity. Raw spinach: Raw spinach is high folate, total, food folate and folate. On the other hand. is low in food energy, total lipid and carbohydrate. Raw scallop summer squash: This food has a low quantiti of food energy, protein and total lipid but has a high quantity of lutein+zeazanthin. Raw acorn winter squash: In food has a low quantity of food energy, protein and total lipid. Raw hubbard winter squash: Raw hubbard winter squash is low in food energy, protein and total lipid. 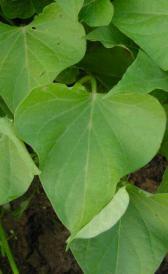 Raw sweet potato leaves: Raw sweet potato leaves is high food folate. On the other hand. is low in food energy, total lipid and total sugars. Raw taro: In food has a low quantity of protein, total lipid and total sugars. Cooked taro without salt: This food has a low quantiti of protein, total lipid and total sugars but has a high quantity of vitamin e.
Raw taro leaves: High in potassium, vitamin c and folate, total and low in food energy, total lipid and sodium. Raw taro shoots: Raw taro shoots is low in food energy, protein and total lipid. Raw tahitian taro: Raw tahitian taro is high vitamin c. On the other hand. is low in food energy, total lipid and total dietary fiber. Raw green tomatoes: In food has a low quantity of food energy, protein and total lipid. Cooked ripe red tomatoes: In food has a low quantity of food energy, protein and total lipid. Tomato powder: High in ash, carbohydrate and total dietary fiber and low in water, total lipid and folic acid. Raw turnips: Raw turnips is low in food energy, protein and total lipid.